When you turn 62 you will have the option to choose to take early retirement at a reduced rate. This is a great option for many Americans who need income sooner rather than later, or who are ill and are concerned about not surviving long enough to see the benefits of taking your benefits at full retirement age. If your health is a concern, another option may be available for you: Social Security disability benefits. While both Social Security disability and retirement benefits are offered by the Social Security Administration (SSA), the two programs are unique. To start, you cannot earn both Social Security disability and retirement benefits at the same time. If you’re at your early retirement age and choose to take your retirement benefits, you cannot “go back” and get disability benefits instead. You also cannot increase your monthly Social Security retirement payments if you are diagnosed with a severe disability. Another difference between the two programs is how much you will earn. If you have a serious illness and are approved for Social Security disability benefits, your monthly payment will be “locked in” at what you would have received had you worked up until your full retirement age. Early retirement benefits at age 62 are 75% of what you would have earned if you had continued to work until age 65-67, depending on your exact full retirement age. Anyone who’s worked even a couple of years throughout life is eligible for some kind of Social Security retirement benefits, but this is not the case for those receiving Social Security disability benefits. You’ll need to have worked recently to qualify for Social Security disability benefits—Usually working at least part time any five of the past ten years will be enough. If you have a condition that you think qualifies, you should check to see if it is listed in the SSA’s Blue Book. The Blue Book is a medical guide containing hundreds of conditions that are usually approved for disability benefits, plus the specific test results or symptoms you’ll need to qualify. The entire Blue Book is available online, so you can review it with your doctor to get a better idea as to whether you’ll be approved. So, What Should You Apply For? 1. If you’re currently working, you will not qualify for Social Security disability benefits. You can earn up to $16,920 per year while receiving early retirement benefits, and you can earn as much as you’d like once you’re receiving full retirement benefits. 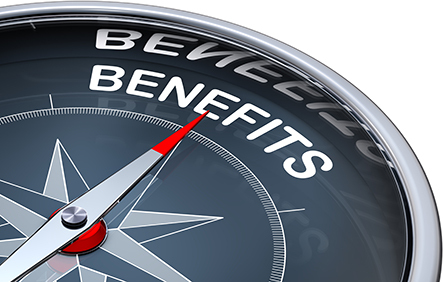 Work limitations are much stricter for disability benefits. 2. If your condition is temporary (will not keep you from working for at least 12 months), you should apply for retirement benefits. Disability benefits are only awarded to people who are unable to work for a year or more. 3. If you’ve been diagnosed with a serious illness, you should apply for disability benefits as soon as possible. You’ll receive a significantly higher income than you would for taking early retirement benefits. Additionally, once you hit your full retirement age, you will no longer be eligible for disability benefits. Both programs are available for US workers, and both payments come directly from Social Security payroll funding. All of your benefits are earned, regardless of the option you apply for. If a condition is preventing you from working as long as you’d like, consider earning more income by applying for Social Security disability benefits. Bryan Mac Murray, is an outreach specialist with Disability Benefits Help, an organization that provides information about disability benefits and the application process.